Let’s face it. What’s better than kayaking? If you live by the water or have easy access to the river you may head out on a weekly basis. Just like every sport, kayaking has some drawbacks if you are just getting started. A few of these include transporting the boats, knowing the class of the river and which sections to look out for, and having a put-in and drop-off point with the adequate transportation to bring you back home. Spending a few days on the river can make this effort worth it and you can enjoy the extra miles in the kayak. Fall is a great time to get out on the river and enjoy some camping along the way. We put together some tips for your next kayaking camp trip. Scroll through some of these suggestions and enjoy even more time on the water! One great part about kayak camping is that you don’t have to carry an 80-lb bag on your back while trekking up a mountain. Whew! You do however have to carry the extra weight in your boat which can affect your speed down the river and how you flow over some whitewater. 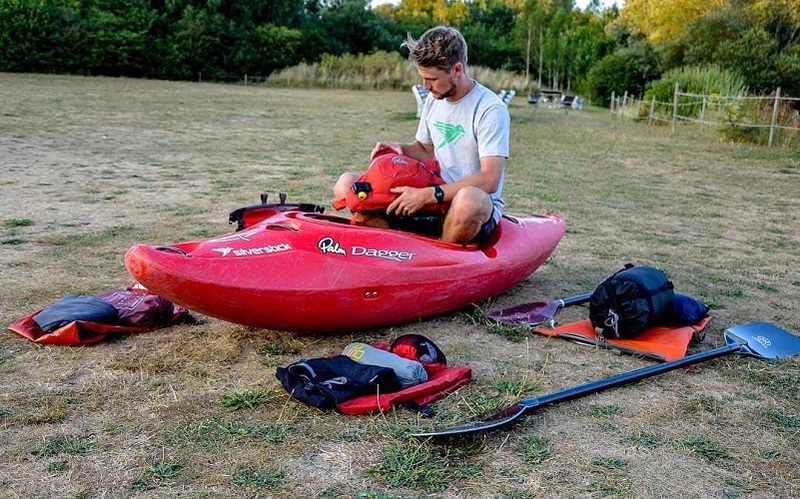 Try a dry run and place everything you want to bring into the boat the night before to make sure everything fits. Place heavy items at the bottom of the boat and closer to the cockpit (away from the bow and stern). Make sure to keep the weight reasonably well balanced between front-back and left-right. Only bring what you absolutely need. Making a list helps! The most important factor of kayak camping – or just being on the water in general – is keeping your gear dry. Camping is no fun with wet gear. After being on the water all day some dry clothes are extremely important, especially if the temperature is set to drop at night. 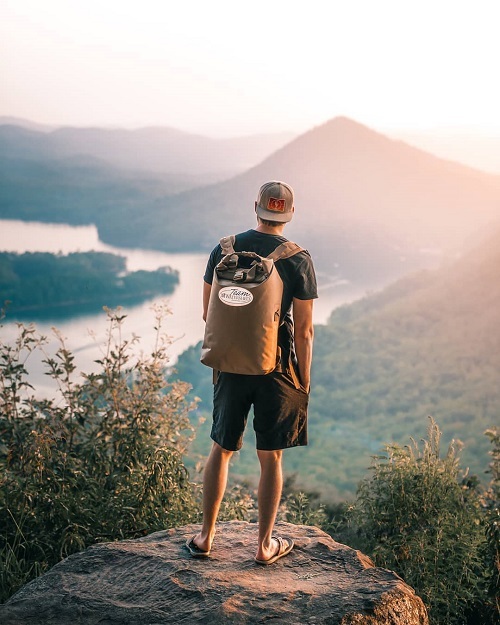 If you have a short hike to your campsite the Animas backpack is a great option with waist straps and padded shoulder pads for extra comfort. A great tip to save on space is to take anything that is okay to get wet and store these items outside of the bag. This will allow you to arrange items more easily in your boat. When planning your meals think about the amount of trash it will create and the weight of the cans or bottles your food is stored in. Remember the Leave no Trace policies as everything you bring with you will have to be packed out as well. 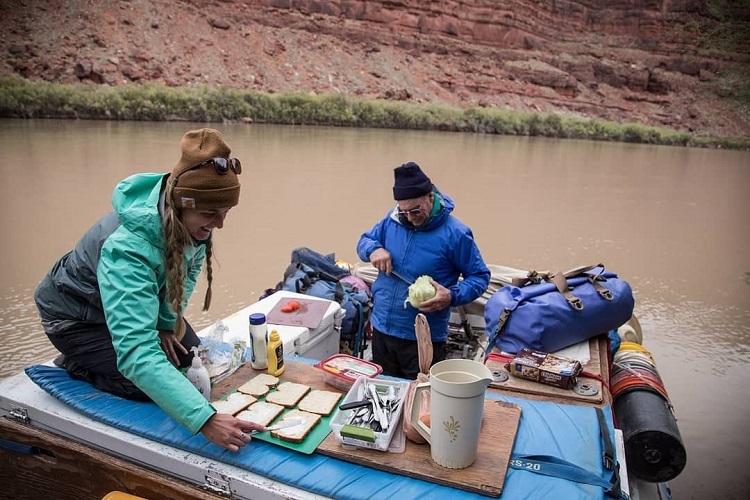 Jotting down each meal you will have on the trip can be a life saver. This will not only save time but will make it easy to quickly prep the meal you have each night. Keep in mind your protein in-take as well as carbs to keep your energy levels up. Keeping your perishable items at the bottom of the boat while paddling in cooler water will help keep your items fresh longer. 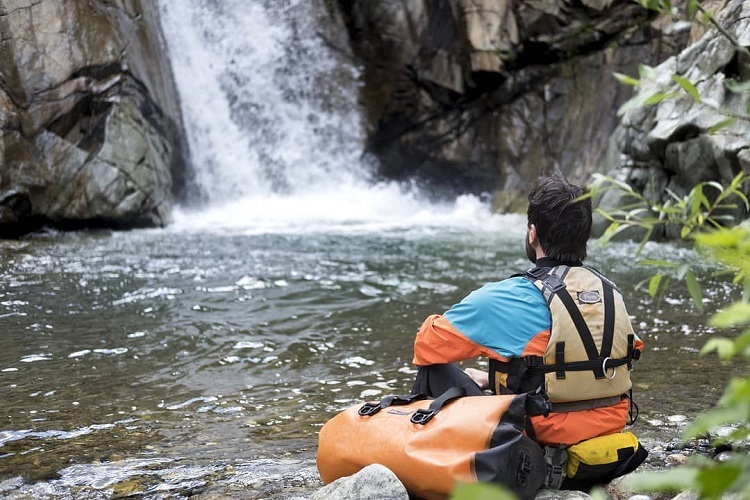 A water filtration system is a must on any water trip. Paddling with liters of water on board isn’t very effective when you can simply filter some water once you reach your campsite. Pack some fresh water so you can stay hydrated while you paddle but filter what you need for camping and cooking at the campsite. Bring along some Nuun tablets or similar for a quick electrolyte boost during your trip. The essentials! When packing for a longer trip sometimes you can get sidetracked with meal-prep and the overnight camping gear list. Don’t forget those essentials you take on your day trips! A PDF with pockets is a great option to keep your phone, camera or safety gear close. Make sure to stock your first aid kit after each trip to ensure you have everything you need in case of an emergency. Finally, don’t forget some handy Paracord to tie up your boats at night, help make the camping shelter or to hang your wet clothes at night. Making a list is so helpful when planning a multi-day trip. Even if you go on trips often there is always something that may slip your mind! Head out and enjoy those fall colors.